Poise and composure are a golfer’s friend… especially during the back nine in a tight, competitive round of golf. 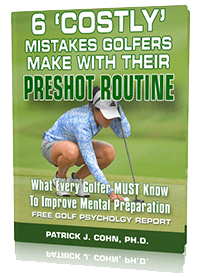 Despite every golfer knowing the importance of keeping it together, it’s not the easiest thing to do. 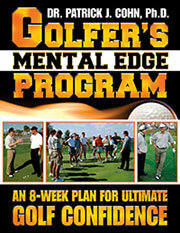 Golf is a game of emotions… a game of highs and lows… a game of good shots and bad shots… a game of birdies and bogeys. One minute you feel you have mastered your game and the next moment, you feel like a complete novice who just stepped on the course for the first time. And to make matters worse, time is not your ally when emotions are intense. You have just played the best 10 holes of your life. You feel on top of the world. You have good control of your shots and your putting feels on point. On the 11th hole, you have positioned yourself for a five-foot putt for par but you push the putt an inch wide of the cup. You tap the ball in for bogey and you still are ahead of the game. Unfortunately, your tee shot on 12 is wildly off target. You are angry and you stew over that ‘stupid’ shot for the many minutes leading to your next shot. You feel tense, still fuming over messing up. Your attempt at a recovery shot doesn’t fare any better and now you have just become an emotional powder keg. As difficult as it can be at times, keeping it together is the key to success in golf… and Angela Stanford can attest to that fact. In her 18th year on tour, Stanford finally won her first major tournament at the 2018 Evian Championship. Heading into the final round, quite a few players were in striking distance for the title but Stanford stayed poised to secure a one-shot victory. But the victory was not an easy one. Stanford made eagle at the 15th, then double bogeyed the par-3 16th hole, dropping her out of a tie for the lead with Amy Olson. On the 17th hole, Standford exuberantly fist pumped the air after sinking a 25-footer for birdie putting her soundly in contention for a shot at victory. Stanford parred the final hole which was good enough for the win. Despite the emotion of the situation, Stanford was able to maintain her composure and keep it together when she needed to. Stanford really hits the nail on the head… You need to get into the right mind space before each shot. That composed mindset consists of releasing the last shot and focusing on the current shot. These mental skills can be developed and put you back in charge of your game. Understand that emotions, both positive and negative are a part of the game. It’s not possible to take all emotions out of the game, but you don’t have to allow those emotions to dictate your level of play. First, try not to react to a bad or marginal shot. After a bad shot, emotions can boil up. Tell yourself to focus on the next shot, not the last. Next, as you walk to the next hole, take several deep breaths to keep your body calm. Enjoy the fact that you are outside playing golf! Repeat this post-shot routine for both good and bad shots. Always focus on what’s right in front of you… the next shot or hole.